Durham is a great place to live, work, play and the Durham NC Real Estate Market is full of options! 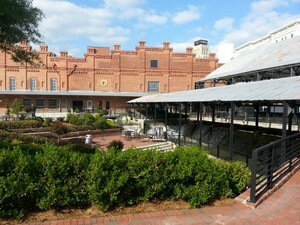 There are well established neighborhoods near Downtown Durham and Duke University. 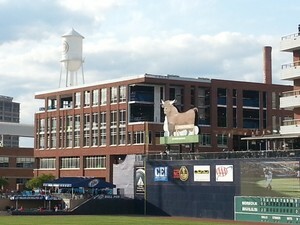 The revitalization of Downtown Durham includes beautiful condos, and brownstones within walking distance to the Durham Bulls Athletic Park, Shops, Restaurants, and the top rated Durham Performing Arts Center. Duke University, Brightleaf Square, Durham Bulls, Durham Performing Arts Center (DPAC), American Tobacco District, Life and Science Museum, RTP, Southpoint Mall, Falls Lake, and so much more. There is something for everyone in Durham and the Durham NC Real Estate Market has all your housing needs covered. Planned Communitied, Condos, Established sidewalk neighborhoods, homes on acerage. Duke Blue Devils Sports and the Durham Bulls have you covered year round right in Durham and just minutes away you have the North Carolina Tarheels, North Carolina State Wolfpack and the NHL franchise the Carolina Hurricanes. Durham NC area is simply a sports fan dream come true. Many who have called this area for years cheer for one or more of these local teams and those moving to the area from other states are extremely happy to learn that often their favorite teams travel to the area to play Duke, UNC, or NC State. Another great reason to check out the Durham NC Real Estate Market. Durham NC Real Estate is known for it’s beautiful homes. The average home price in the area is approx. $220,000. There are plenty of home styles and neighborhoods to choose from. Grow Local Realty is ready to help you with your Durham NC Real Estate search.